Apenas porque gostaria de participar na seleção para equipa design de The Shabby Tea Room, acabei por me inspirar e fazer este postal. 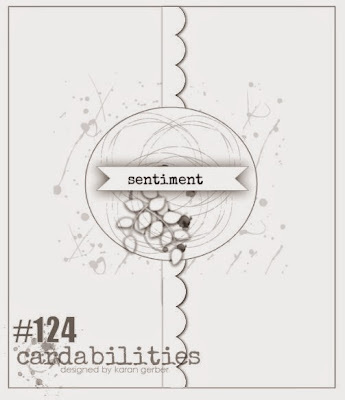 O layout foi inspirado em Cardabilities e usei, como imagem principal, um carimbo da Stampendous que pintei e recortei. É um postal com um estilo alternativo que eu, por vezes, gosto de experimentar. 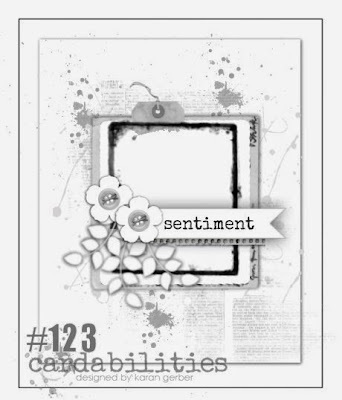 Just because I wanted to take part in the Design Team Call at The Shabby Tea Room, I've decided to make this card. 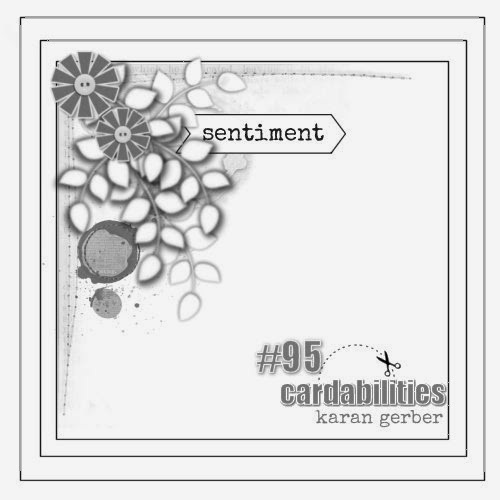 The sketch was inspired by Cardabilities and the focal image is a Stampendous stamp which I coloured and fussy cut. 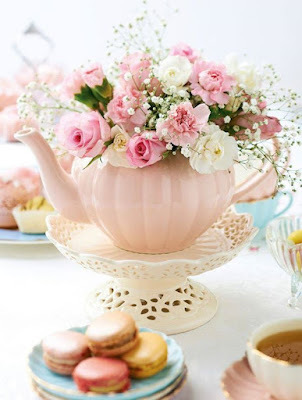 I thought it would go well with the inspiration image at The Shabby Tea Room. It's a bit of an alternative style of card which I sometimes like to do. And, in spite of the different elements, this isn't an extremely busy card and it's quite flat. I always like my cards to fit a regular envelope. Hoje o postal é para bebé. Celebra um nascimento, um batizado, um aniversário... Além disso, foi feito com cores neutras, por isso é adequado a ambos os sexos. Usei papéis da Sugar and Spice e os sapatos são cortantes da Marianne Design. As flores foram feitas por mim. Poderá ver como AQUI. Today I'm showing a baby card. It celebrates a birth, a Christening or a birthday... Besides it was made with colours fit for a baby girl or boy. 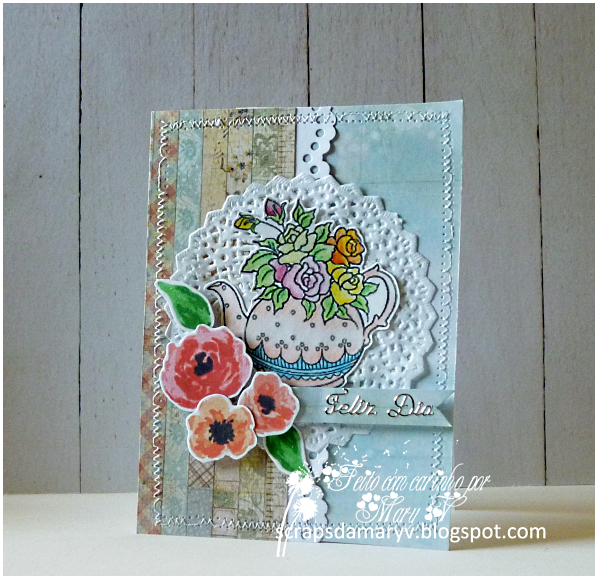 The papers are an collection called Sugar and Spice and the die cut is from Marianne Design. - 613 Avenue Challenge #123 - Anything Goes w/ optional Let's Celebrate! Bom dia e bom feriado para todos! Hoje decidi fazer um postal combinando vários cortantes e uma imagem que colori com lápis de aguarela. O primeiro papel que colei sobre a base do cartão tinha cores um pouco fortes. Por isso colei outra camada de papel vegetal ou papel de engenheiro como lhe chamam também. Depois colei a faixa de flores brancas e as formas redondas em rosa claro. Colei também a faixa com o sentimento e, por fim, a flor e as folhas pintadas e recortadas. Colei também algumas meias pérolas no olho das flores brancas da faixa. 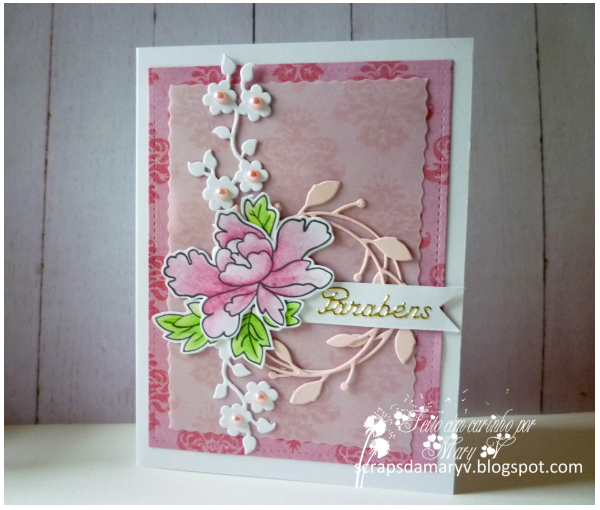 Today I've decided to make a card with a combination of die cuts and a watercoloured image. As the first layer of paper had strong colours, I decided to use vellum to tone it down a little. Then I glued the border with the white flowers and the wreath. I cut two of these because I thought it would increase its interest. Then I glued the banner with the sentiment and the flower and leaves which I had previously coloured and fussy cut. As a finishing touch I glued some half pearls in the centre of each of the border flowers. - Crafts Galore Encore Challenge - Anything Goes For May! Este é o meu primeiro post deste ano. Um cartão de aniversário bem fresquinho para esta época. My first post this year with a very cool card. Enjoy! Pode ver o video deste cartão aqui / You can watch the video for this card here. Como podem ver, hoje é um cartão para o Dia das Bruxas que se avizinha. Claro que este projeto não tem nada de assustador e a bruxa até nem parece muito má! Para fazer este cartão, usei um papel com glitter e cortei alguns elementos para fazer uma cena em que parece que a bruxa aparece do meio das folhas. O sentimento foi escrito à mão (não tinha nada que estivesse relacionado) com caneta de gel branca. Espero que gostem! As you can see, today my card is for halloween. There isn't a huge tradition here in Portugal, but each year more and more kids come knocking at my door for some treats. They know we always give them something! 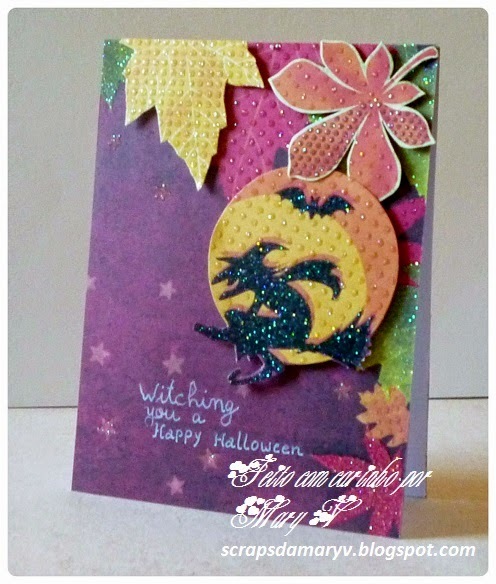 To make this card, I've used glittered paper and then cut some elements to make a scene. it wanted to make it look like the witch is coming out of the tree leaves. 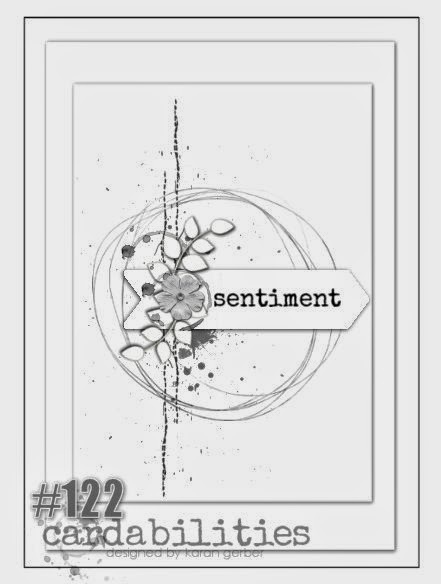 The sentiment was handwritten with a white gel pen. I hope you like my project today. 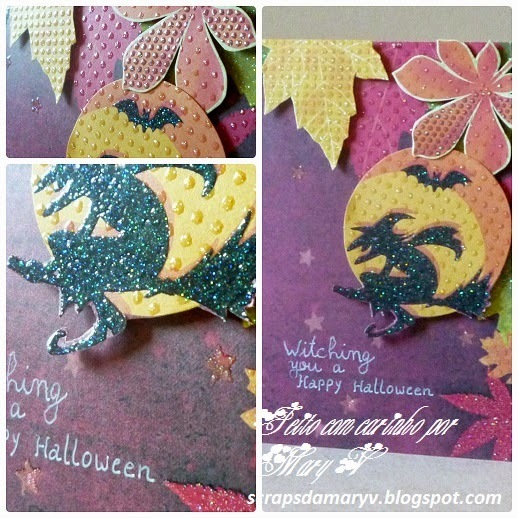 - Crafts Galore: Trick or Treat! Something Scary or Something Sweet! Para o post de hoje, a proposta é um convite de casamento. Este é muito simples nas cores branco e bordeaux. spero que gostem! For today's post I'm showing you a very simple wedding invitation which I've made combining white and bordeaux. I hope you like it! Olá! Boa sexta para todos. Este ano, no Dia da Mãe, vou oferecer algo diferente. Para este projeto, usei cartão de 2mm e cartolina. As medidas são 15cm x 15cm x 5cm. Usei cartolina preta para envolver o cartão e dar-lhe ainda mais resistência. Para a decoração, usei papel decorativo de tons cinza, branco e preto e alguns detalhes de outras cores para as flores, folhas, fita, etc. Usei também um pequeno espelho. Talvez a minha mãe possa usar esta caixa como um porta-joias! This year, for Mother's Day, I'm planning to offer something different. For this project, I've used 2mm chipboard and cardstock. The box measures 15cm x 15cm x 5cm. To decorate it I used grey, white and black decorative paper paired with some details of brighter colours for the flowers, leaves, ribbon, etc. I also used a small mirror which I glued on top of the doily. Maybe my mother could use this as a jewlery box. O projeto de hoje envolve flores. Foram todas feitas por mim e o cartão segue o esquema do blogue Cardabilities. Adorei fazê-lo! Today's project is all about flowers. These were handmade by me and the card follows the sketch from Cardabilities. I loved every moment! Um post rápido (o segundo de hoje - aqui está o outro) para partilhar um cartão que fiz seguindo o layout do blogue Cardabilities. Espero que gostem! 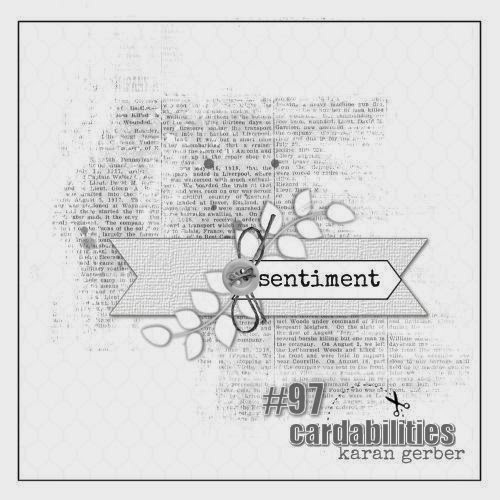 Just a quick post (actually my second today - you can check the other one here) to share a card I've made with the sketch from the Cardabiliies blog. Hope you like it! 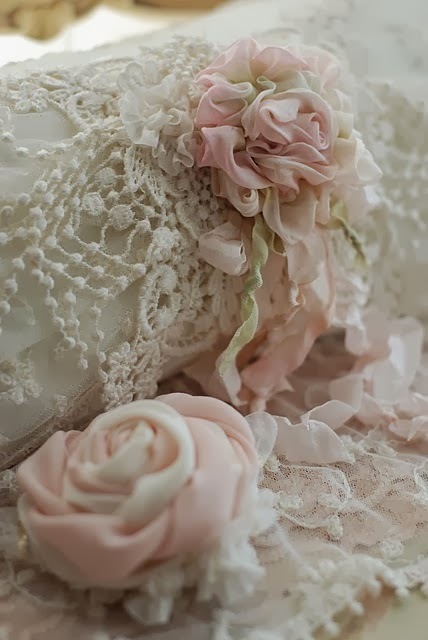 - The Shabby Tea Room Week #212 - "Pretty in Pink" (Linda asks that you create a card or project inspired by the photo and INCLUDE WHITE and/or CREAM, PINK, GREEN, FLOWERS, LACE and/or RIBBON! Com a Páscoa cada vez mais próxima vai sendo tempo de preparar alguns miminhos para aqueles que nos são mais próximos, familiares ou amigos. Este foi um cartão que fiz, inspirada pelo esquema do blogue Cardabilities. Todos os elementos decorativos foram recortados do padrão do papel. O resultado foi muito suave. Adoro! With Easter fastle approaching, it's time to make some sweeties to offer all those close to our hearts, friends or family. This was a card I've made with the inspiration of Cardabilities sketch. All its decorative elements were cut from the paper pattern. The final result was very soft. Love it!